How (Or Why) Did Disney DO That?! 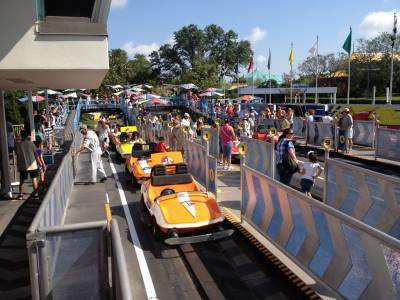 My first visit to the Magic Kingdom was in the late 1970s. My recently retired grandparents had just moved from Pittsburgh to Sarasota and the highlight of our first Florida vacation was a day-trip to Walt Disney World. I was only 7 or 8-years-old at the time, so my memory of that first trip is pretty fuzzy. I remember meeting my cousins at the Polynesian and thinking it was the most beautiful hotel I had ever seen. I remember walking down Main Street. I remember begging my dad to buy more e-tickets, and I remember that larger-than-life bundle of Mickey Mouse balloons clutched in a cast member’s hand. Over the span of more than 40 years, I’ve grown to love Disney, root for its success and wonder constantly, “how” or “why do they do that?” On a recent visit, a few how’s and whys came to me over and over, so I thought I’d sit down and find out an answer or two. 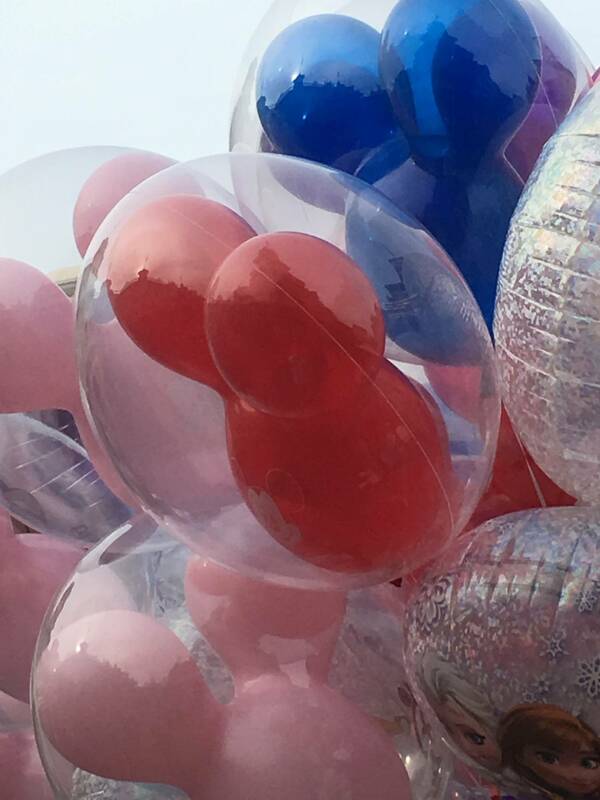 Question #1 Why does Disney encase the mouse head balloon in a second clear balloon? The original Mickey Mouse helium balloon is iconic. Unfortunately, latex and hot sun just don’t function well together. I found some great history on the Mickey balloon while reading three articles written by Jim Korkis (one on the AllEars.net website and the other two on MousePlanet.com). Korkis’ detailed interview with Treb Heining, a former Disneyland “balloon boy” and creator of the popular Mickey Ears balloons sold today, gave me a plethora of information. Who knew balloons could be so interesting? So here’s the gist of it. Latex balloons dull and leak helium in the sun. And when it’s a latex Mickey balloon, the first thing to deflate is an ear. In an effort to prolong the mouse head balloon’s life, Disney tried placing it inside another clear latex balloon. According to Korkis and Heining, guests called it “Mickey in a Glass House.” The dual latex experiment failed and Disney went back to the single mouse head balloon. Eventually the latex balloons were abandoned all together and the park switched to selling foil (Mylar) balloons. In the 1980s, Heining and Henry Unger began to play around with a plastic product from Japan called a “T” balloon. After several tweaks, Heining tried placing the latex mouse head balloon inside the plastic clear balloon. The idea worked. Not only could the balloon withstand the heat, it stayed inflated for weeks. The new creation was called the “glasshouse” in honor of the earlier dual-balloon’s nickname. In 1996, Heining was given the go ahead to sell his glasshouse balloons from one vendor in Disneyland’s Tomorrowland. It was meant to be a “retro” product, Heining says. Well it worked. The glasshouse outsold the Mylar three-to-one and the rest is history. Question #2 How many Ear Hats does Disney sell each year? 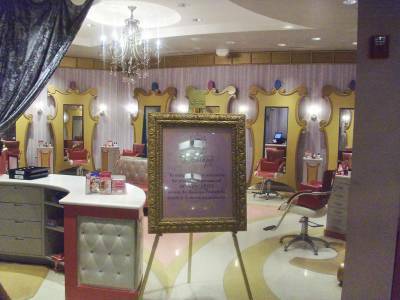 Walking into The Chapeau is one of my favorite stops on Main Street. I love to check out the wall of ears hanging on display and hear the sewing machines buzzing as they embroider all those names. Coming up with all the variations must be right up there with naming paint colors and being a taste-tester at Ben & Jerry’s. 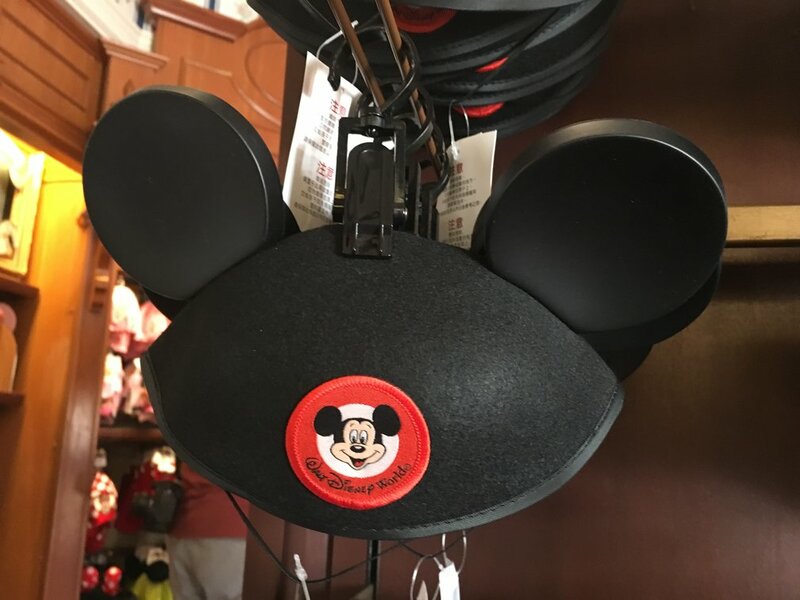 According to the Walt Disney World News website, “there are enough of the famous ‘Mouse Ear’ hats sold each year to cover the head of every man, woman and child in Orange County, Florida.” So using the most recent (2010) US Census numbers for Orange County, that puts Ear Hat sales at about 1,145,956 per year! Question #3 How in the heck has the Frontierland Shootin’ Arcade lasted this long? Don’t get me wrong. I love the arcade, and so do my boys. I’m just always astounded that it’s still there. I’m shocked this tiny treasure (it only costs 50-cents to play) hasn’t been turned into a turkey leg kiosk or pin trading station. Debuting on opening day in 1971, the arcade originally featured rifles that shot actually lead pellets. In 1982 the lead pellet guns were replaced with the infra-red light rifles used today. Two quarters buys approximately 25 shots and there is rarely a wait. A hidden gem for those in need of a little shade or for a parent looking to entertain a little one while the rest of the family plunges down Splash Mountain. Question #4 Every body of water has piles of change in it. Disney donates it to charity, right? This is a tough one to get a straight answer on. The internet is filled with estimates on the amount of change Disney pulls from its attractions, fountains and wishing wells. Donations that Disney credits as coming from these sources are in the $15,000 to $18,000 range and have gone to such charities as Community Based Care of Central Florida, the Foundation for Foster Children and the Wildlife Conservancy. The wishing wells are designed for charitable purposes and are the easiest places to extract coins. Fountains seem to be the second easiest place to clean out the loose change. Attractions, like “it’s a small world” and “Pirates of the Caribbean” take much more effort and seem to only be relieved of their change during major renovations. These attractions seem to be where the largest stashes of coins lie, and unfortunately, after sitting so long in water many coins become corroded. So while my first visit to the Magic Kingdom had faded to just a few images of Walt Disney World’s most recognizable elements, as a grownup, I love that Disney continues to amaze and fill my head with wonder. About the Author: Kim is a stay-at-home mom, Disney fan, annual passholder and Disney Vacation Club member living in East Lansing, Michigan.